SALENTO BY 5 is available by order at all bookstores and major on-line book sellers. In the San Francisco Bay Area, find it at Libreria Pino, 548 Union St., San Francisco; Books, Inc. , Laurel Shopping Center, California and Spruce Streets in San Francisco, and at the Museo Italo Americano at Fort Mason in San Francisco. In Salento, Italy, the Italian edition (in English) is available at AnimaMundi, the bookstore of our Italian publisher in the town of Otranto (Via S. Francesco di Paolo 15) and soon, at a growing number of bookstores and tourist shops in the town of Lecce and throughout Salento. An autographed copy of the book may be ordered direct from the authors via email to dhfielding@mindspring.com. Please indicate the number of copies you are ordering and your shipping address. Price: $25, includes a free set of 6 note cards featuring images from the book. 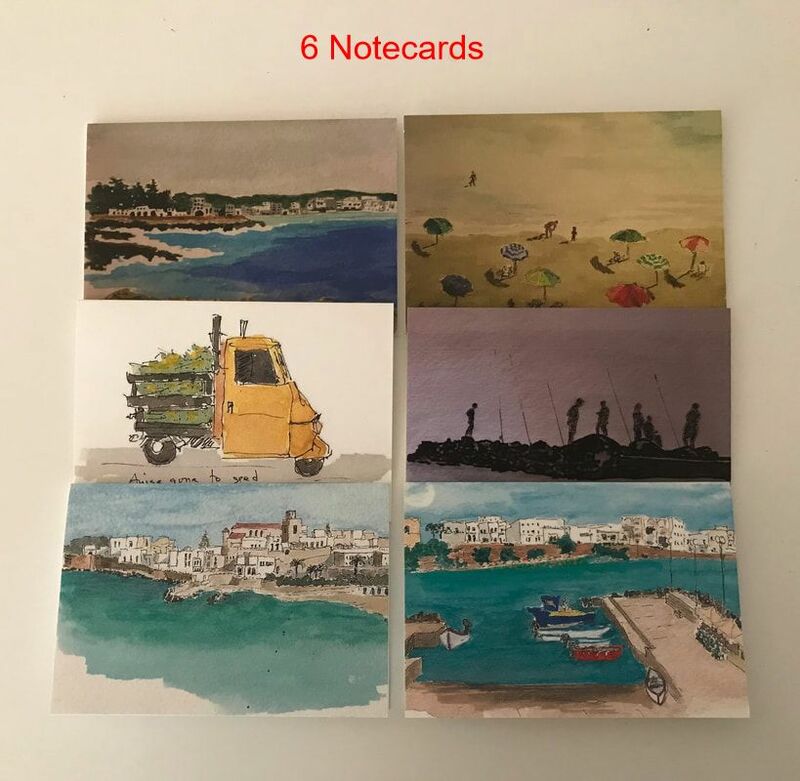 (Notecards sold separately at $15/set). Free shipping in U.S.